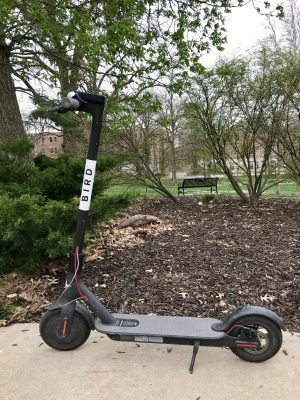 The scooters in Columbia, Missouri are provided by companies such as Bird, Lime, Spin and Pony. They are operated through a smartphone when a rider scans a QR code, pays by debit or credit card to unlock the wheels, and then zooms off. The scooter companies typically charge $1 to unlock the wheels, and 15-20 cents per minute of use. This model appears to be popular, as the Columbia Daily Tribune reported in January that the scooters were used 138,000 times and traveled 200,000 miles in their first 87 days of operation. The City of Columbia manages the scooter companies through administering fees and imposing regulations. They have mandated top speeds of 15 mph in Columbia, and companies are required to remove their scooters by dusk (no later than 8 pm) each day, and during inclement weather or snow. Companies are also responsible for making sure users properly park their scooters, or face impounding if parking issues have not been corrected within two hours. Must be parked responsibly to avoid blocking any sidewalk, bus stop, etc. Bird was the first company to land in Columbia last year. They recently implemented a “geofence” around downtown Columbia that regulates where Bird scooters can be used. The geofence borders begin just past Mizzou Arena to the south, the edge of I-70 in the north, West Boulevard and a little beyond Old 63 on the east side. Bird scooters will not operate outside of the fence and must be parked in the fence, as well. Bird is the only company that offers free helmets to its users after one ride (access the voucher here). Lime has a somewhat similar program that can be accessed here for more information. There are endless ways to get injured, or injure someone else or their property, by riding an electric scooter. According to The Missourian, one emergency room doctor at University Hospital said they had seen 20-40 people by the end of last year, with injuries resulting from scooter use. Injuries can range from cuts and scrapes that may require stitches, to casts, surgeries, and even long-term disabilities. With each of the scooter companies listed above, users agree to a liability waiver on the app prior to using the scooter for the first time. In most cases, the scooter user is liable for their own injuries, as well as injuries to other people or property. The only reason the scooter company would accept liability is if there was a proven scooter malfunction resulting in bodily injury or property damage. The most common example of a scooter malfunction would be the brakes locking up. Lime has had issues in the past with batteries smoldering or catching on fire, and more recently recalled most of its global fleet after reports of scooters simply breaking in half with use. 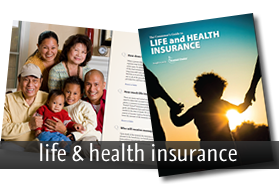 Does Your Personal Insurance Apply? Auto: If you were driving a vehicle insured under your personal auto policy and hit someone riding an electric scooter, your liability insurance would cover any bodily injury or physical damage you may cause. Insurance follows the car, not the driver, so no coverage would apply to an insured driver outside of an insured automobile while operating a rented scooter. 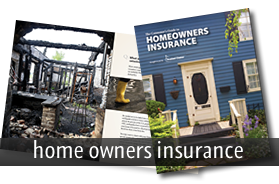 Homeowners: Home insurance is designed to cover the insured’s house and residence premises. There are specific exclusions for bodily injury or property damage resulting from the use of aircraft, motor vehicles, recreational vehicles and watercraft. While there is limited coverage for small watercraft meeting certain criteria, or for recreational-type vehicles used to service and maintain the residence premises, an electric scooter would not fall within the definitions of those items, nor would coverage extend off premises onto public roads. The Kasmann Insurance Agency is in business to serve and educate our customers and community. 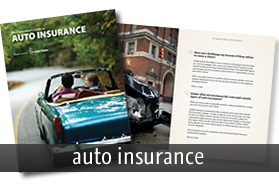 While your auto and homeowners insurance policies cover a lot of seemingly uncommon occurrences, there are also many coverage exclusions. We do not want anyone to rent a scooter thinking their personal insurance may apply, and be denied coverage in the event of a claim because they were unaware of coverages exclusions. Insurance is never an “it’s better to ask for forgiveness than permission” situation. If you want to rent to ride a scooter around Columbia, please understand that you are accepting liability for any damage or injuries you may receive or cause. 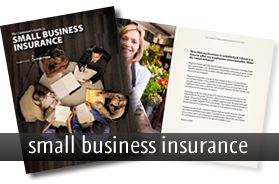 As always, if you have any questions about your insurance coverages, or wish to obtain a quote for new coverage, please contact us. We are happy to help!